Iran News: Iran’s Navy Commander Rear Admiral Hossein Khanzadi attended the ceremony which was held on Thursday 29 Nov, 2018, on the occasion of the Navy Day. 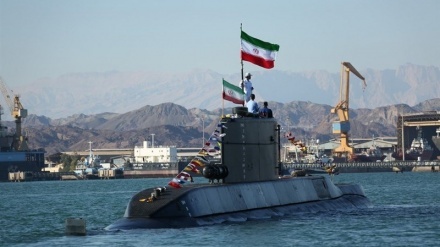 Ghadir-class submarines are designed to cruise within the shallow waters of the Persian Gulf to ensure peace and security of Iran's maritime borders, Iran Press reported. Meanwhile, Deputy Defense Minister, Brigadier Qasem Taghizadeh in this ceremony announced that next Saturday Sahand destroyer will join to southern naval fleet in the 1st Imamat Maritime Zone. 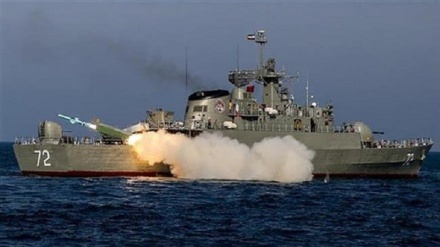 Sahand destroyer is built in the framework of expanding Islamic republic martial naval fleet and in near future will sails in international waters. Taghizadeh added that in coming months, 3 satellites will be launched to put into the space circuits. "These satellites are produced by local specialist by support of Iranian defense ministry. 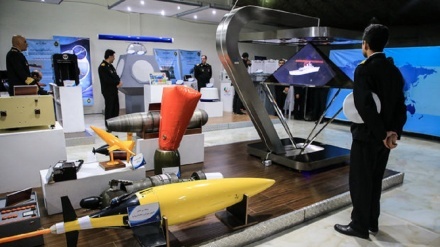 Launching of these satellites shows Iranian aerospace capabilities," Deputy Defense Minister Brigadier Qasem Taghizadeh added.